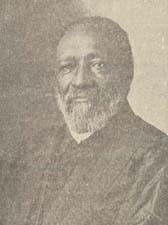 J. W. Hood (James Walker), 1831-1918 Sketch of the Early History of the African Methodist Episcopal Zion Church with Jubilee Souvenir and Appendix. Sketch of the Early History of the African Methodist Episcopal Zion Church with Jubilee Souvenir and Appendix. Charlotte, N. C.: A. M. E. Zion Publishing House, 1914. Hood, J. W. (James Walker), 1831-1918 -- Anniversaries, etc. James E. Shepherd Library Treasure Room, North Carolina Central University, Durham, NC provided the text for the electronic publication of this title.